I have been seeing Where She Went reviews floating around the blogosphere, and I can't WAIT to get my hands on this book. I loved If I Stay, and I'm hoping Where She Went is even better. 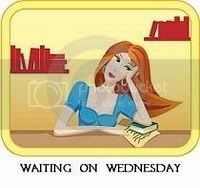 What's are you waiting on this week?? Leave a comment with your link so I can visit you! Less than a month!!! Soooo excited. I have to dig out If I Stay and re-read it before Where She Went comes out. Haven't heard of this series. The cover looks pretty intriguing though! I love this series, I just got this one yesterday and I'll be reading it soon. If I Stay is one of my favorite books. Great pick! 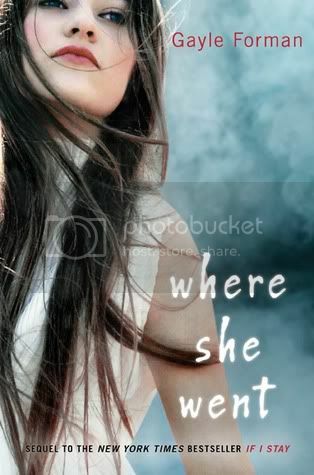 I really loved reading If I Stay, so I´m really looking forward reading this book. Love the cover. I have to re-read If I Stay before picking up this book. My roommates and I are actually reading it this summer for a book club we're starting. I loved the first book so much. I am excited about this one as well! Great pick. I have not read If I Stay yet but have heard awesome things about it .. I need to buy it !! I'm going to add this to my TBR list. Sounds like a good book. ooh i'm definitely witing on where she went too! I can't wait to read this! I LOVED the first novel. I am afraid to read the reviews floating out there because of spoilers, but I am sure it will be great! I read the first one and enjoyed it, I hope that I can get ahold of this one soon. I don't know if I can read this one. My heart broke with If I Stay. Although I know I will read it, I guess I am glutten for punishment. This sounds like a good one to put on my list. This sounds like a great sequel, now I need to read the first book to get caught up. I plan to read the first book in this series. Thanks for the reminder. Thanks for the visit today. Fantastic pick! I am desperately waiting on this one as well. I LOVED If I Stay- I thought it was so powerful. Thanks for visiting my WoW! I haven't read the first book in this series, though I have heard lots of good stuff about it. I love books that explore pockets of New York, though. Oh my goodness, I am looking forward to this one so much too!!!! I so need this book! I loved If I Stay - such an amazing book. I can only imagine the emotional roller coaster Gayle will bring our way next. Can't wait for this! I still have the first one in my never-ending stack of books I own and need to be read! Thanks for stopping by the blog! You should totally try out that series! Yes, yes, yes! Super excited for this one. I'm dying to read this one too since I absolutely loved If I Stay. @Audrey- I'm so glad to hear you loved it!! I've read this! It's good! Great choice! Great choice! I've been seeing reviews of it too, and I'm excited to read it! Brilliant choice! I'm waiting for this one too - so excited about it! And thank you for commenting and following me! I just finished this one and it is sooooo good!